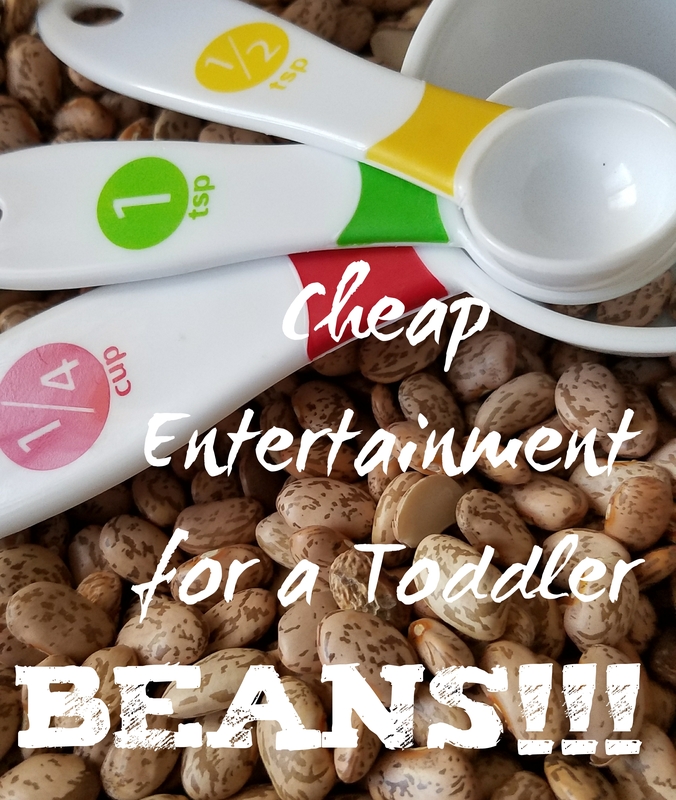 In my constant search for entertainment for the toddler I’ve tried EVERYTHING! And I am in complete and utter shock of the things that stick and are the most fun to the kiddo. For instance junk mail, I hate it but she thinks it’s soooo much fun. Shoes; not only the cutest thing to hear her say but endless entertainment! Tupperware, such a blast!!! In particular the two blue pieces that look like they should go together but don’t, that would annoy the beegeezus out of me but she loves it – who knew?!? Anywho, this one was a doozy! 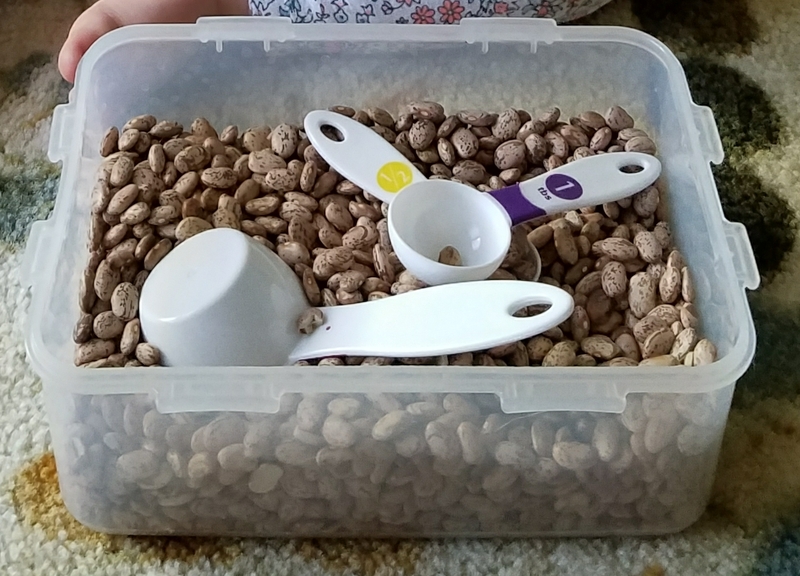 I picked up a couple of bags of pinto beans a cheap set of measuring spoons and cups and tossed them in a big tupperware tub. Done and done! Well, almost. I had tried this previously with rice and let’s just say that was less than ideal…. I’m still finding loose pieces floating around! This was such great entertainment!!! 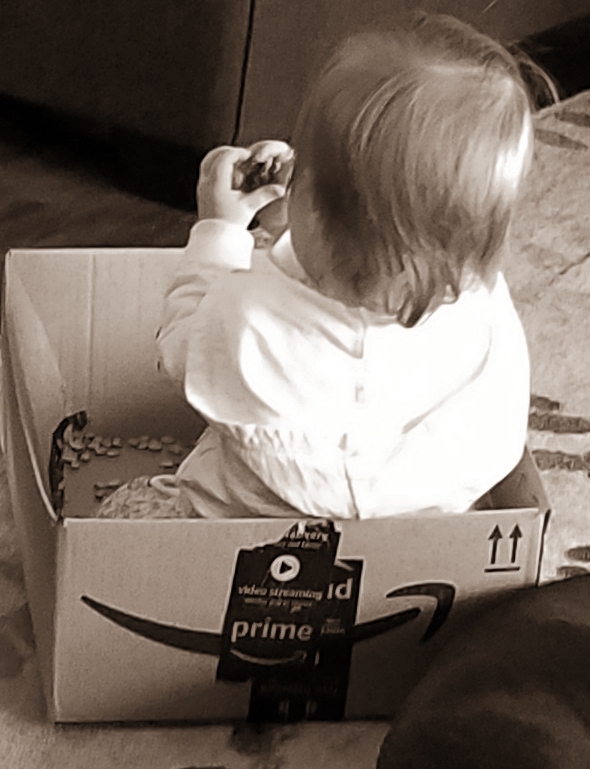 Better than I had ever expected which was an absolute godsend when I worked from home! But you just have to keep an eye out for spoonfuls in the mouth, no bueno. 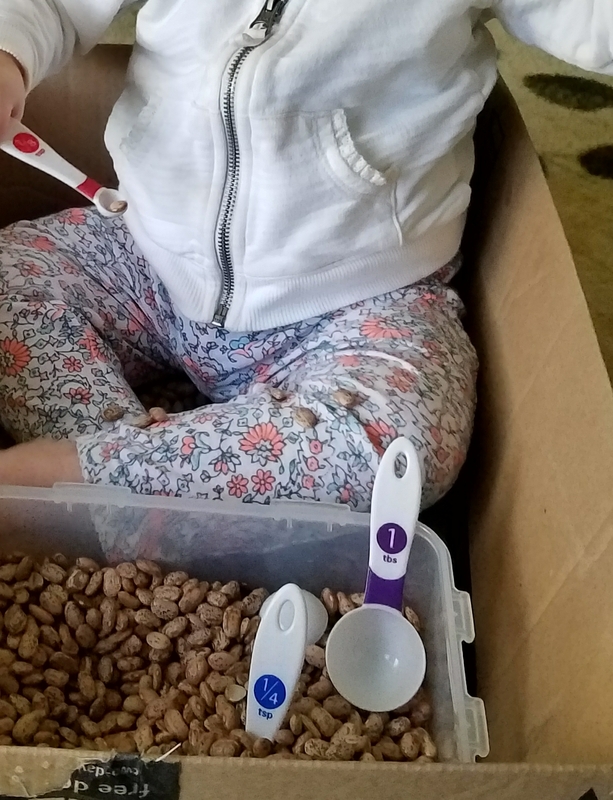 The kiddo has just mastered using a spoon with her meals so she was super excited to “eat” with her spoons. Caught her a couple times which wasn’t as terrible as I imagined it could have been. What I didn’t anticipate though was the dog! To her it was an over-sized dog dish with lots of fun things to chomp on – also no bueno…. But overall I’d still consider this a success! Less than $10 spent and probably at least an hour to focus on something else = win, win win!!! !